Buyers will be able to pay with a bankwire or a traditional recharge towards your Postepay Evolution card. • All the module’s information are compiled and corrected to clarity about the proposed payment: you can choose to receive a bankwire or a recharge as a payment, posting only the preferred data. • E-mail prefilled with instructions and data, sent once the order is registered. 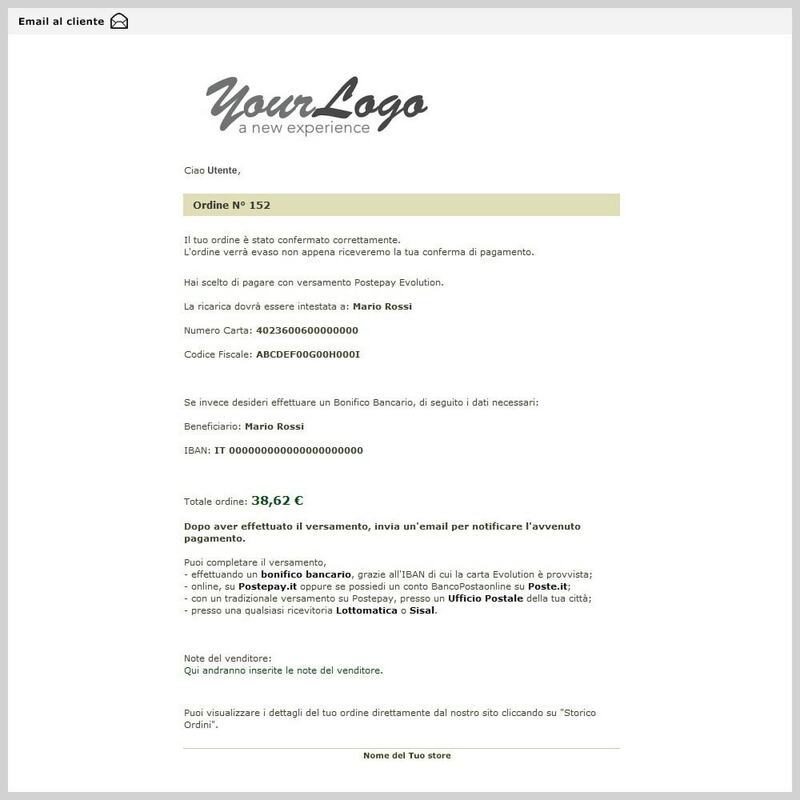 Thanks to the proposed additional material , you'll have the ability to customize the template of the confirmation email that you will receive upon completion of the order. 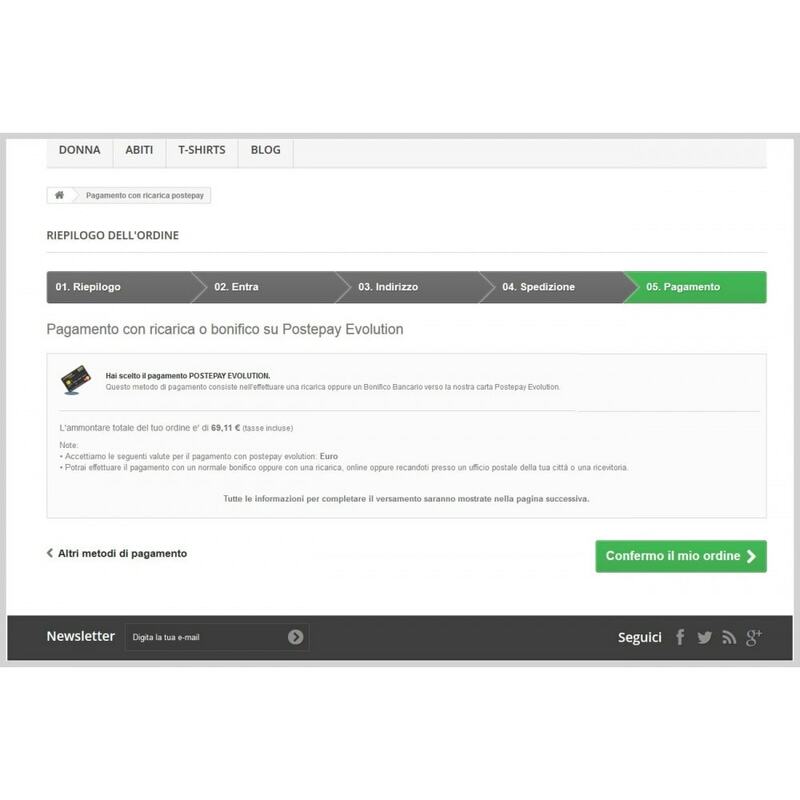 • In the order confirmation page is already provided a thorough explanation of the ways in which you can make a Postepay payment, in addition to the data and notes you entered. 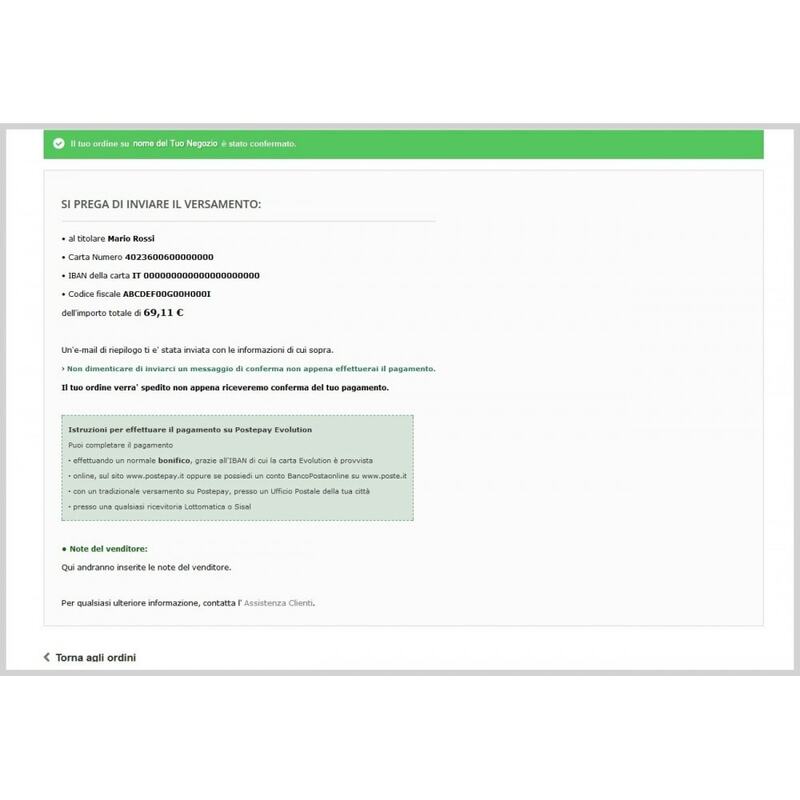 • You can show or not you: card number, IBAN, taxcode, depending on the payment you prefer to receveie. • indispensable solution for the largest proportion of users who do not have a virtual payment account . • Give an alternative to those who are wary of using automated online payment methods and prefer the most well-known and usual payment through post offices, services or their own bank. The installation is simple and automatic, made with the classic button "Add new module - Install" in your Prestashop Module section. The module is updated to the last release of Prestashop. You can also find the correct module version for previous realeses. 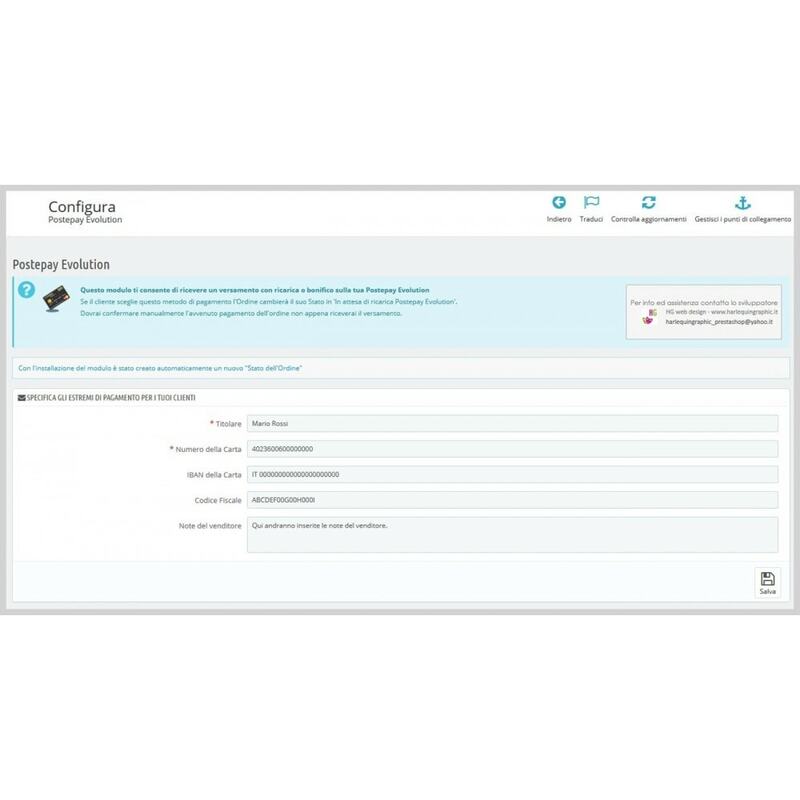 If your store has an older and obsolete installed version, we can provide the module with the exact configuration for your version.